This cemetery is directly across the street from the Willow Bend Baptist Church. There are high hedges around the Glen Eagles golf course making the cemetery invisible from Park Blvd. For a long time Willow Bend Baptist Church was called Liberty Baptist Church. It is the oldest continuously running Baptist church in Collin County. They changed their name around 1990. I do not think the cemetery was ever connected to the church. The land the cemetery is on was once the Old Shepard Ranch. There are roads and housing areas around that reflect that name. There are 2 cemeteries on the Shepard place. The other one is the Felker Cemetery and is south of this one. 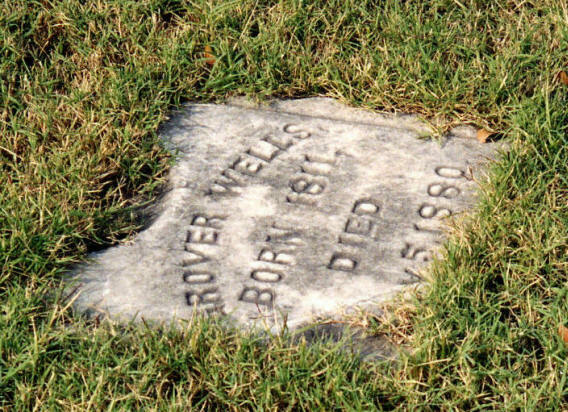 Neither cemetery is mentioned in COLLIN COUNTY CEMETERY INSCRIPTIONS. They are both mentioned in PLANO, TEXAS: THE EARLY YEARS. Someone is taking care of the cemetery. 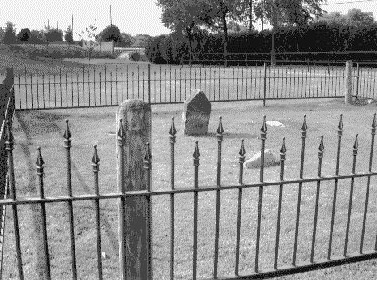 The cemetery is fenced with a 4-foot wrought-iron fence and is about 20 feet square. There is a gate in the fence in the middle of the east side. There is one readable upright stone and two stones on the ground-a child's stone and an adult stone. There are also three broken stones, one at ground level. Known to be buried here is Major Heustis, who died on November 30, 1857. There is also supposed to be a horse thief buried here. It is said that he was hanged on a tree nearby.